Still not clear from the HKUPOP rolling poll what impact the new post-Occupy localist/self-determination/independence trend is likely to have on the September 4 Legislative Council election. Campaigning is a relatively short-term exercise, British-style, so the general voting public is just now finally focusing on their constituency candidate lists and the choices that must be made on Sunday. It pays to maintain a degree of caution about the HKUPOP poll results. Everyone looks to them for reference, but not necessarily for actual fact. For one thing, the pollsters are using land lines. That means only stay-at-home types will be answering the phone, which means further that the answers are probably skewered older and conservative. 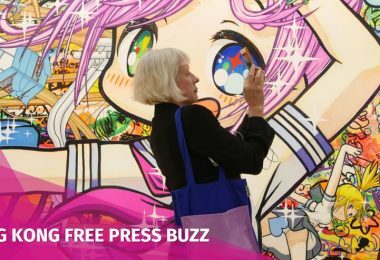 So it also means they won’t necessarily be adequately reflecting the preferences of the mobile-phone-addicted younger generation where the greatest interest in the new post-Occupy localist trends are to be found. Of course, like everywhere else, Hong Kong’s younger generation has a far lower voting participation rate than seniors, so maybe the polling is a reliable indicator after all – but then again maybe not. 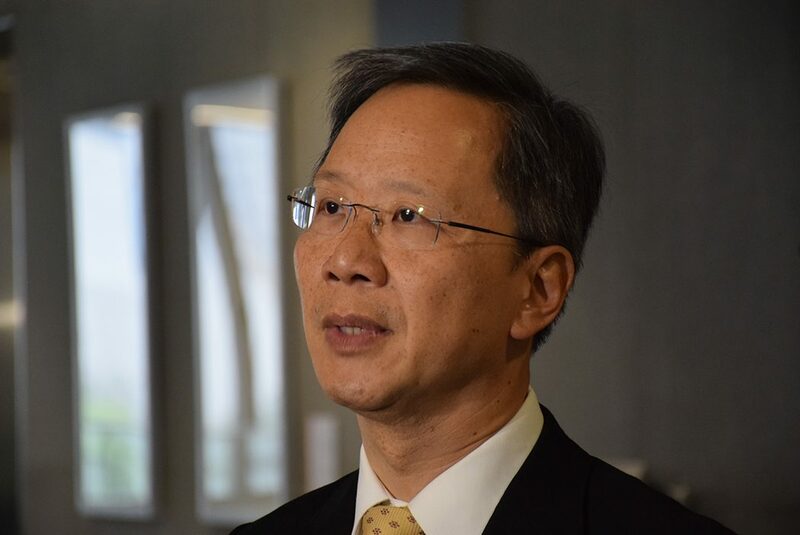 For voters who are poll-watchers, however, these final days are when decisions are made and the custom of tactical voting is more-or-less accepted – even if people didn’t much like Professor Benny Tai’s Thunderbolt attempt to give it some precision. People all along the political spectrum watch the final poll numbers, hope they’re accurate, and vote for the candidate who seems most in need as well as best able to benefit. Loyalty to favorites is one thing, wasting votes on lost causes is something else. Calculations are made accordingly. 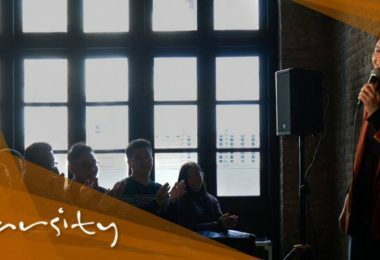 The pro-Beijing camp is far better organized and systematic in their get-out-the-vote operations, and position candidates for maximum advantage. Democrats do the opposite in all respects and there have been a few big miscalculations in recent years, but not big enough to inspire more discipline as Benny Tai discovered. 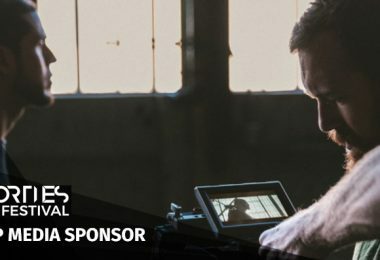 As a general first impression, people don’t seem too happy with what they see because they don’t always see the candidates they’ve come to know best – the valued power of incumbency that parties and candidates have learned to love or hate depending on whether they’re veterans or novices. Democrats are more vulnerable than loyalists in this regard. The trend to youth is being registered all along the spectrum. But loyalists have discipline and democrats don’t. Among them the new names include many post-2014 Occupy protest movement newcomers. 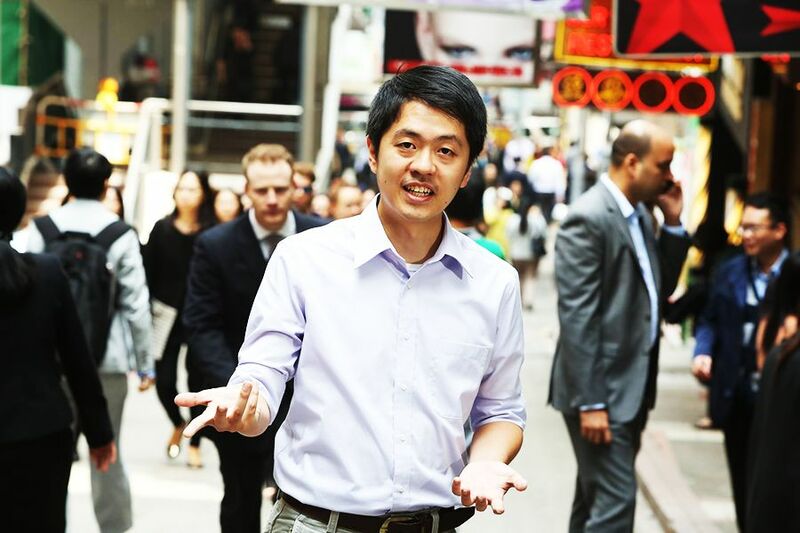 Demosistō’s Nathan Law, who is running for a seat in Hong Kong Island constituency. Photo: Cloud. The names have been printed out on tens of thousands of pamphlets and fliers. But mailings and street corner handouts are not enough. Neither are the televised district forums since the official rule of equal time must be enforced. With so many candidates in each district, that leaves only time enough for everyone to make an introductory statement and a rhetorical sound bite or two afterward. 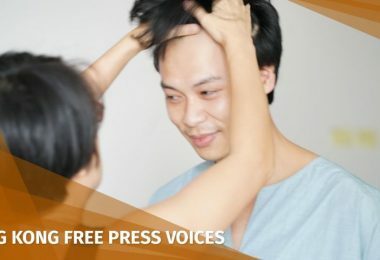 Everyone knows Emily Lau and Albert Ho, but the Democratic Party’s Hong Kong Island candidate is a young District Councilor named Ted Hui Chi-fung who is unknown outside the small District Council constituency that elected him for the first time last November. Otherwise, what little publicity he has been able to generate has been mostly negative, concerning some minor misuse of office funds. Ted Hui Chi-fung. Photo: Facebook. In this six-seat constituency, 16.67% of the vote is enough to win one seat. Votes in excess of that figure are transferred to the second candidate on the list. If no candidate wins that amount, the seats are simply allocated according to the number of votes received. 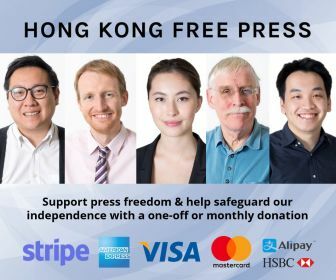 If a democrat is to win the sixth seat on Hong Kong Island, it will have to be a fight at the margin among: the Labour Party’s Cyd Ho (pre-Occupy moderate radical); People Power’s Christopher Lau (pre-Occupy moderate radical); Civic Passion’s Alvin Cheng Kam-mun (pre-Occupy radical); Nathan Law (post-Occupy moderate radical); Paul Zimmerman (fallen-away Civic Party, now independent); moderate Gary Wong from Ronny Tong’s Path of Democracy group; and Chui Chi-kin, a District Councilor, newly elected last November who won fame as an “Occupy parent” supporter of the younger generation. Pro-democracy voters are spoiled for choice. Only it’s a choice they’re still getting to know, with less than a week to go before Election Day. In 2012, HKI elected pan-democrats to fill three of its seven seats. Population shifts mean HKI now has only six seats and democrats will be lucky to win two of the six, in what was once a democratic stronghold and where there are still more than enough votes to win a third seat if only there were fewer candidates to share them. Across the harbor, Kowloon West was allocated the seat Hong Kong lost and for democrats, KNW is the one bright spot where they might actually register a one-seat gain. In 2012, this five-seat constituency elected three democrats. 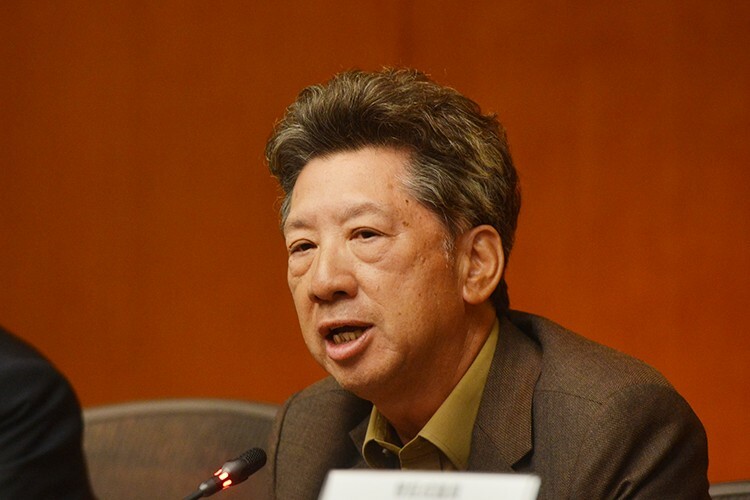 This year they may pick up the new seat although it will be touch and go who fills it: two new post-Occupy localists are both competitive and old “Mad Dog” Raymond Wong Yuk-man looks to be in danger of losing the seat he has held for several years. He even featured in a dust-up last week after an election forum where localists took sides for and against him. Three policemen were injured trying to break them up. 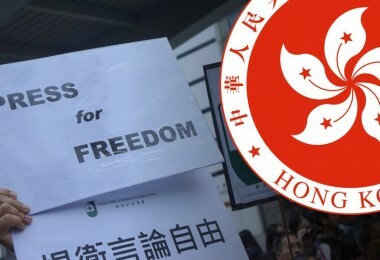 Before they were done, supporters of a rival candidate, Johnathan Ho Chi-Kwong, had raked up all kinds of scores both old and new, like Raymond Wong’s opposition to the June 4 candlelight vigil in Victoria Park and the July First protest march and his criticism of Occupy, and his alleged waffling on the issue of Hong Kong independence. His is the coalition that has decided it wants to keep the Basic Law forever, once suitably amended and legitimized by a popular referendum. He and his Civic Passion allies managed to satisfy their election officers with this response. But one of Ho’s supporters appealed to constituents not to cast even a single vote for Wong. The two candidates who stand to benefit if Raymond Wong goes down in KNW are post-Occupy localists: Lau Siu-lai and Yau Wai-ching. 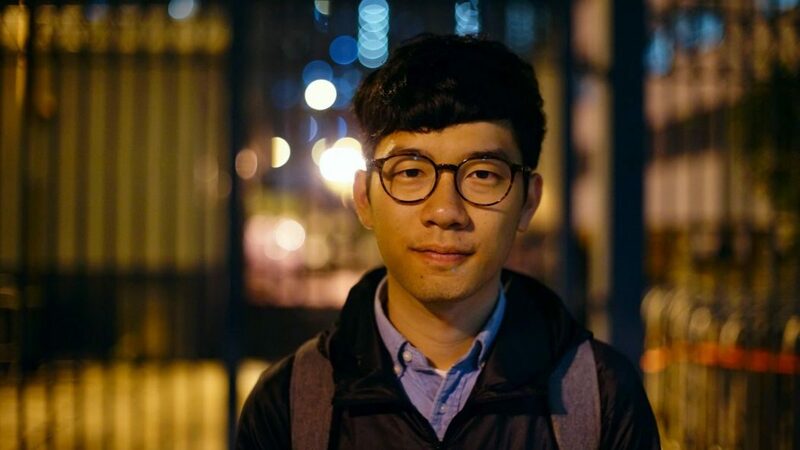 Yau is a Youngspiration favorite, part of that post-Occupy generation of young people who emerged from the 2014 Occupy experience as strong advocates of Hong Kong self-determination. 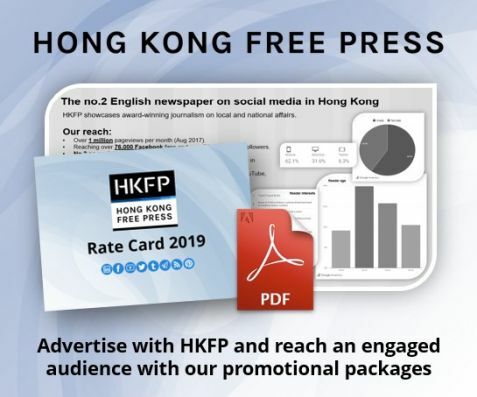 She came close to winning a District Council seat in last November’s election when her opponent was the well-established pro-Beijing ally Priscilla Leung, an incumbent in KNW who seems set to retain her Legislative Council seat. 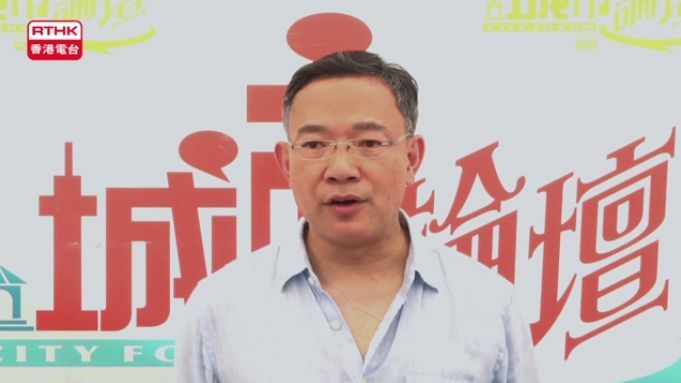 Raymond Wong is especially unhappy about one of Yau’s campaign supporters. He went all out to campaign for Hong Kong Indigenous leader Edward Leung Tin-kei in last February’s by-election. And how does Leung repay him? 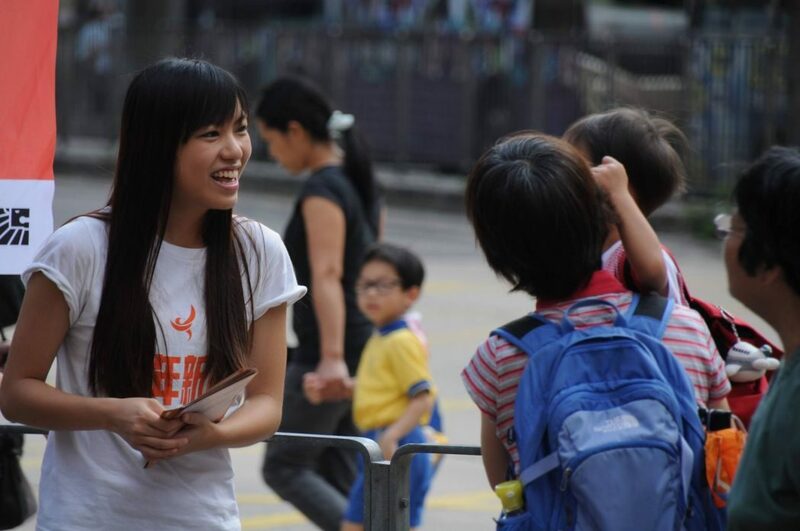 By campaigning for one of Raymond Wong’s opponents in KNW! But Leung has his reasons. After he was disqualified as a candidate due to his independence advocacy, Edward Leung forged an alliance with his Youngspiration friend Baggio Leung, who has dedicated his own campaign to Leung and is running on his behalf in New Territories East. The two Leungs are not related. 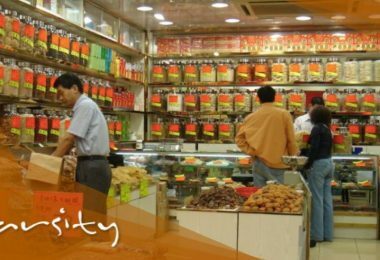 Lau was on hand running her unlicensed late-night fried-squid snack stall last February, the day before Edward Leung Tin-kei’s Hong Kong Indigenous came out to “protect” them all from the government’s hawker control force. 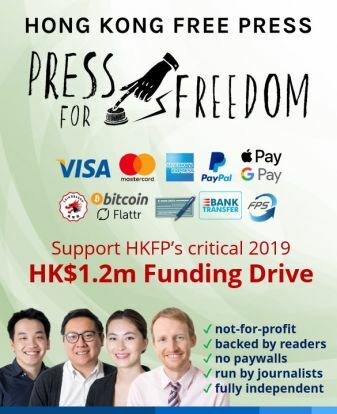 He turned them into a global headline as part of Hong Kong’s Lunar New Year “fish ball revolution.” She was arrested, found guilty, fined HK$1,800 for hawking without a license, and is now being charged with “moonlighting” by the university. 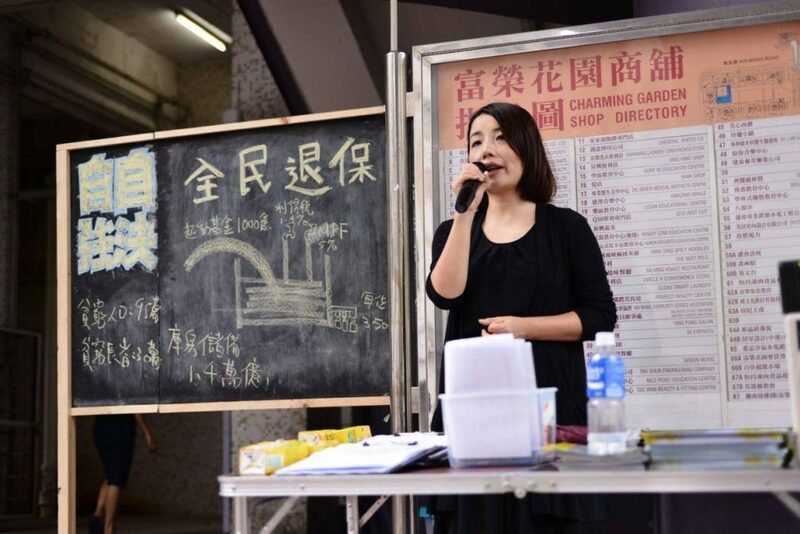 She says it was an act of civil disobedience and decided the Legislative Council would be as good a place as any to champion her localist causes. Paul Tse Wai-chun. 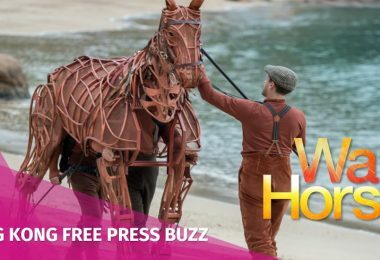 Photo: RTHK Screencap. 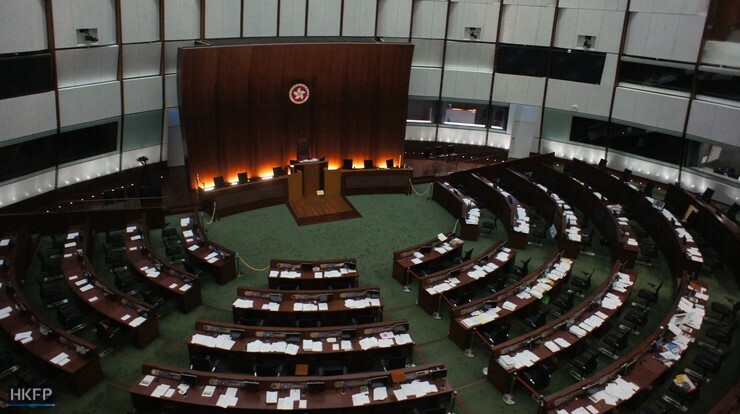 Now there seems to be no space for anyone else: one seat each solidly in the columns of the Democratic Alliance for the Betterment and Progress of Hong Kong (DAB), the Federation of Trade Unions (FTU), and Tse, plus two left over. The two will go to the incumbent Wu Chi-wai of the Democratic Party and the Civic Party’s replacement for Alan Leong who is stepping aside to make way for a younger successor. Civic Passion’s rabble rousing Wong Yeung-tat is trying a second time to find space in KNE, but the polls suggest there is still none to spare. Another Younspiration ally, Chan Chak-to, is also running in KNE. But he has broken one of the election rules by saying more on the campaign trail than he did in his nomination form. Chan has come out verbally for Hong Kong independence and has been warned that he can still be disqualified even at this late date. But there seems to be no space in KNE for Chan either since his poll numbers are rock bottom. In the last, 2012, election, NTW was a washout for democrats. Their lists were poorly coordinated with both the Democratic Party and Civic Party equally to blame, in different ways. The results broke 5:4 in the loyalists’ favor. Kwok Ka-ki. File Photo: Wikimedia Commons. This year the two parties have positioned themselves well enough. But a full range of pre- and post-Occupy radicals and moderates are also in the running. Among them all, only the Civic Party incumbent, Kwok Ka-ki, seems safe. 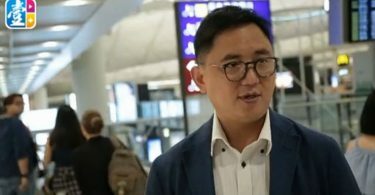 For once, however, the big drama is on the loyalist side: an altercation between the Liberal Party (moderately pro-Beijing overtly pro-business) and pro-Beijing candidate Junius Ho Kwan-yiu. 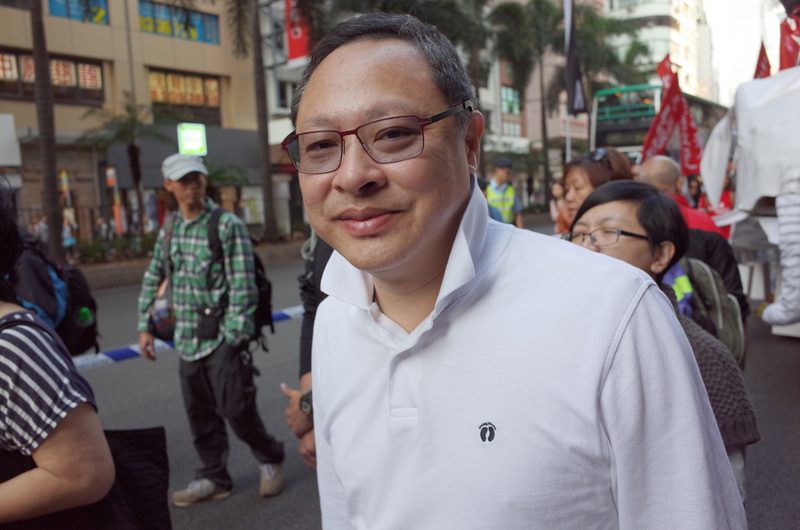 Loyalist New Territories forces rallied to Ho’s side last November, and with an assist from Civic Passion still bent on punishing Albert Ho, succeeded in depriving him of his District Council seat. The rival was Liberal Party candidate Ken Chow Wing-kan who announced his withdrawal during a televised candidate forum last Thursday. But he damned his adversary as he went, claiming he, Chow, had been threatened to withdraw and produced an audio recording as proof. Earlier he had claimed that someone tried to bribe him with a large sum of money to withdraw. 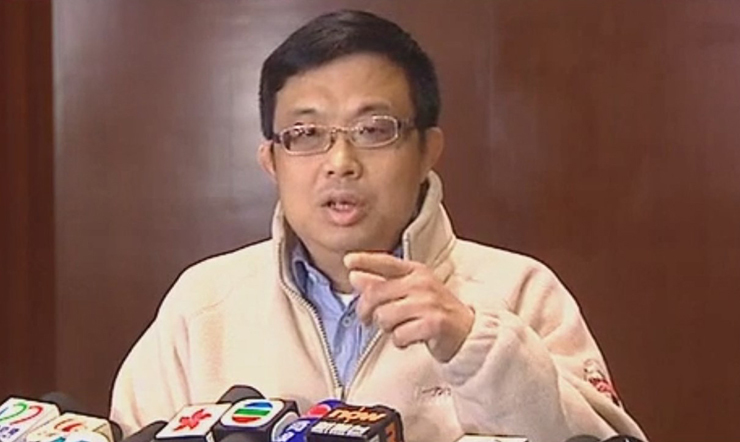 Candidate Ho admitted his team had discussed the harassment plan but claimed he vetoed it. His team should have consulted the HKUPOP ratings and left well enough alone. Chow’s poll numbers indicated his chance of winning or even taking votes from his rival were nil. Now they have an embarrassing scandal on their hands along with the possibility of criminal prosecution for violating election laws. And even the South China Morning Post has finally had to admit that Beijing’s liaison office here “is allegedly coordinating the election campaign of the pro-establishment camp”. 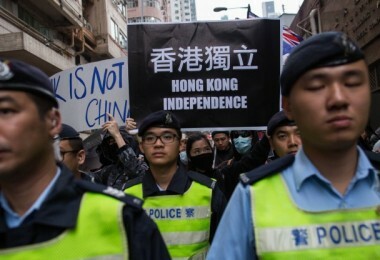 That long-standing allegation is, of course, part of the whole mainland infiltration project that has produced Hong Kong’s defiant post-Occupy generation. The one trend that so far stands out in NTE stands also as a warning marker for Ronny Tong Ka-wah. 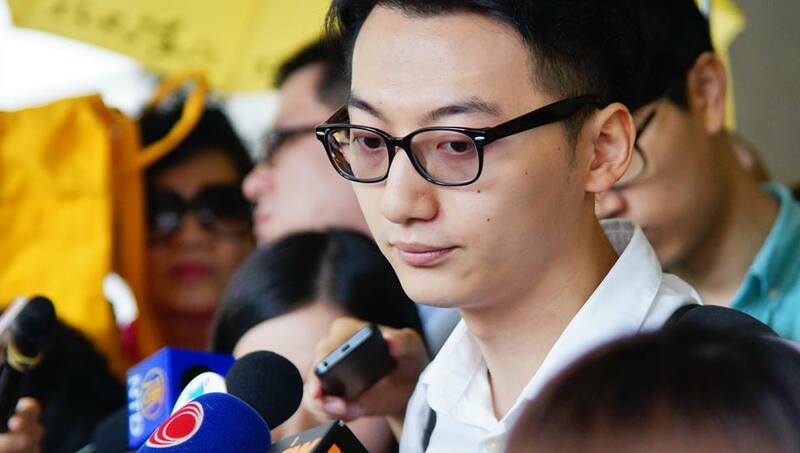 In what he had hoped would be a wake-up call last year, he gave up his Legislative Council seat in this constituency and quit the Civic party to protest what he had long been fulminating about, namely the Civic Party’s draft away from the moderate middle ground. 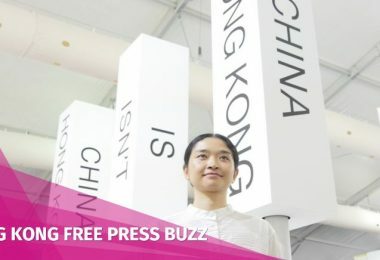 It was the by-election to fill his seat last February that gave Hong Kong Indigenous leader Edward Leung territory-wide name recognition, although the Civic Party’s replacement candidate won the seat. Ronny Tong formed his own new moderate group, Path of Democracy, that is sponsoring two hopefuls in the current race. And despite his active campaigning on their behalf, it’s safe to predict they’ll be among the early losers on September 4. At least one reason is also clear. 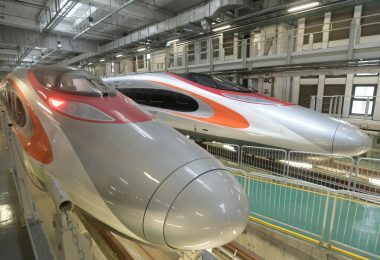 Tong’s high-profile break with the Civic Party was intended, he said, to allow him to work toward bridging the gap between Beijing and Hong Kong’s democracy camp. But he has yet to say just how he aims to bridge the gap. 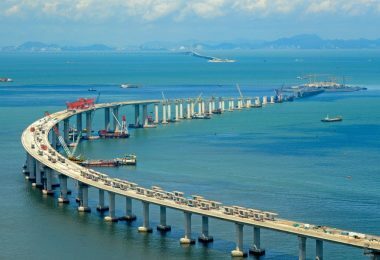 Neither his Path of Democracy nor another small break-away group from the Democratic Party have been able even to distinguish themselves from several other moderate conservatives with some experience to back up their claim that they can talk to both sides, and thereby bridge the gap between Beijing and Hong Kong’s core values. 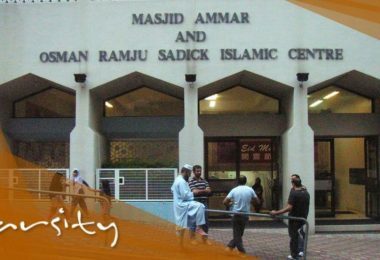 This has been the Liberal Party’s chief appeal to moderates ever since it came to the rescue and withdrew support from the government’s Article 23 national political security legislation in 2003. Regina Ip’s New People’s Party also claims to stand on middle ground. So does TV entrepreneur Ricky Wong. And like all of these moderate conservative candidates this year, moderate conservative Christine Fong is the only candidate in NTE (except for the DAB) who has retained a clear solid lead since polling began in July. The District Councils Functional Constituency has nine candidate lists vying for its five seats. Well-chosen loyalists (DAB/FTU) account for three lists; pro-democracy hopefuls are responsible for six. Two of the six seem safe, but the contest in this constituency between establishment and democracy forces is for the fifth seat. 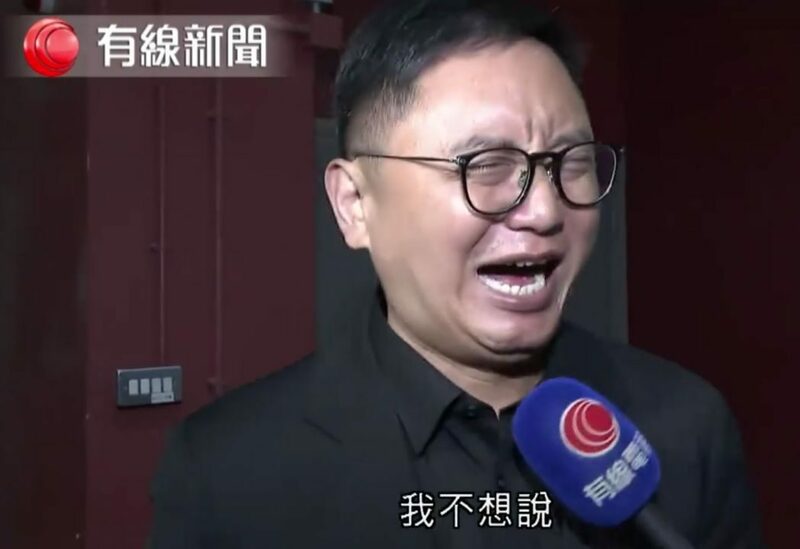 An interviewer sought out the pro-democracy candidates to ask why they were so obviously courting defeat and the loss of an important constituency seat to the camp as a whole by fielding so many lists. Local political reporters invariably seem more concerned about the issue than the candidates themselves. 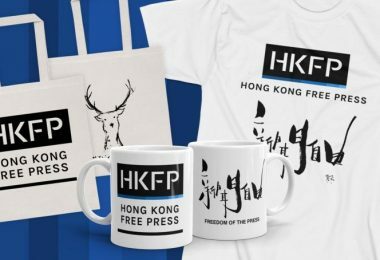 In this case, the answers were classic grassroots pro-democracy Hong Kong. James To Kun-sun. Photo: Now TV screenshot. 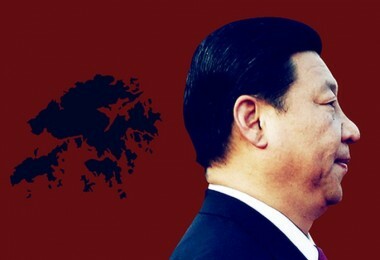 In a sense, they were all first and foremost “localists”, operating and competing with one another in their own local Hong Kong world where the larger high-stakes risk for the camp as a whole of losing its meagre one-third veto-proof minority in Hong Kong’s Legislative Council did not signify at all. 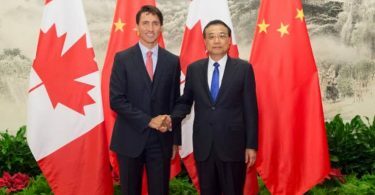 Somehow the “mainlandized” way of Beijing-directed political life they all fear does not enter into their immediate day-to-day political calculations, even though the DAB, FTU, and their allies have by now intruded massively into the local political way of life via this same electoral process. 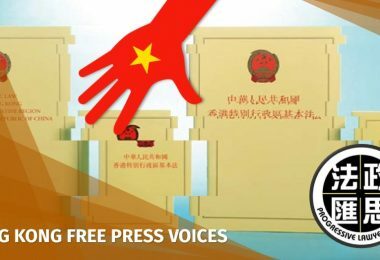 The pro-Beijing establishment has been able to exploit Hong Kong’s fractured democratic political community so effectively that the Beijing-dominated coalition now has won majorities on all of Hong Kong’s elected councils. 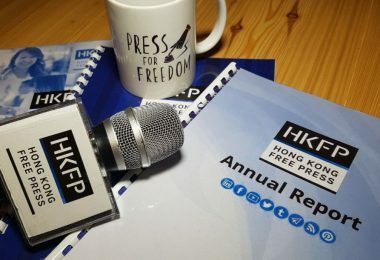 In Albert Ho’s case, that machine and its candidate, Junius Ho, had the help of one of the democratic camp’s own – Civic Passion – which relished playing the spoiler’s role to continue punishing Ho for his 2010 political reform compromise decision. 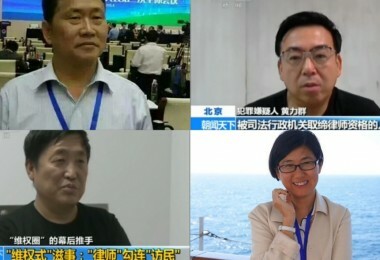 These maneuvers succeeded in disqualifying Ho and Fung from the competition since only District Councilors can nominate and be nominated for the super-seats. As a result, DAB/FTU candidates are now positioned to move in for the kill and tip the balance in this constituency by taking the fifth seat.